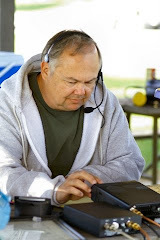 This post was inspired by a hamfest purchase. Earlier this year I stumbled across an old issue of Circuit Cellar Ink and just had to buy it. When I first studied electronics in school microprocessors were really expensive. Little 8-bit chips were hundreds of dollars so the community college I attended certainly didn't have any in the lab for us to play with. In the mid 1980's I'd wait for each new issue of BYTE Magazine to arrive and would immediately go to Steve Ciarcia's Circuit Cellar column. 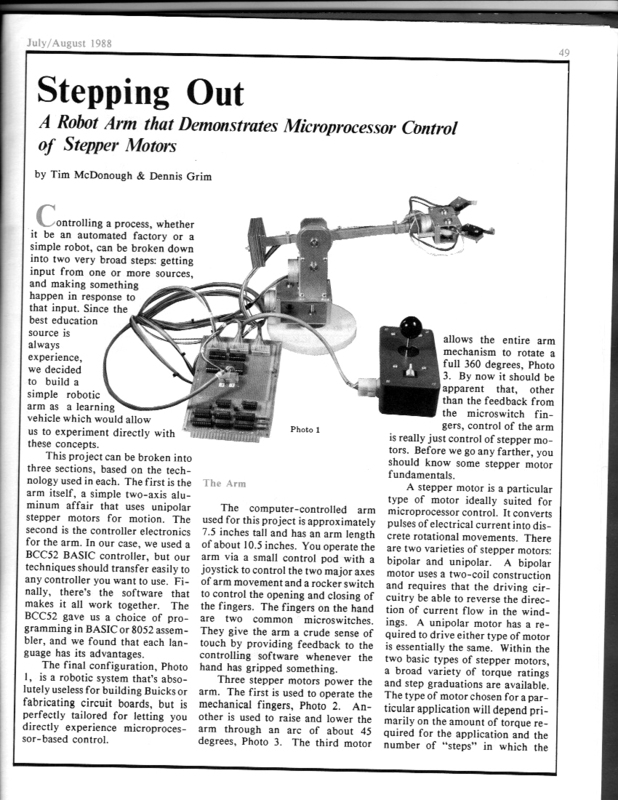 Those articles were the basis of my self-education in learning how to design and program what came to be known as embedded systems. One day I saw brief mention that Steve was looking for people to be a part of his research staff. What the heck, it would be fun to at least apply so I sent off my letter... this was pre-Internet after all, at least as we know it today. A few weeks later to my disbelief Steve himself called on the telephone to discuss things and I became part of the staff which is another story entirely. I'll save that for a different day. Eventually BYTE was purchased by McGraw-Hill and their battalions of attorneys wasn't too keen on the idea of Steve telling readers how to modify electrical equipment or even build their own from scratch. A new magazine "Circuit Cellar Ink" was born and the researchers followed our leader. It was a lot of fun being part of the research staff and a lot of fun working with Dennis on the project. Up until that point I'd never used a stepper motor before but I was a lot younger at the time and my attitude towards most new challenges was usually "How hard could it be?" I hope you've had some fun projects both past and present.